Five and a half years ago we were blessed with a little bundle of joy on the morning of Christmas Eve. Our daughter, Evalyn, came into the world as an early Christmas gift for us. 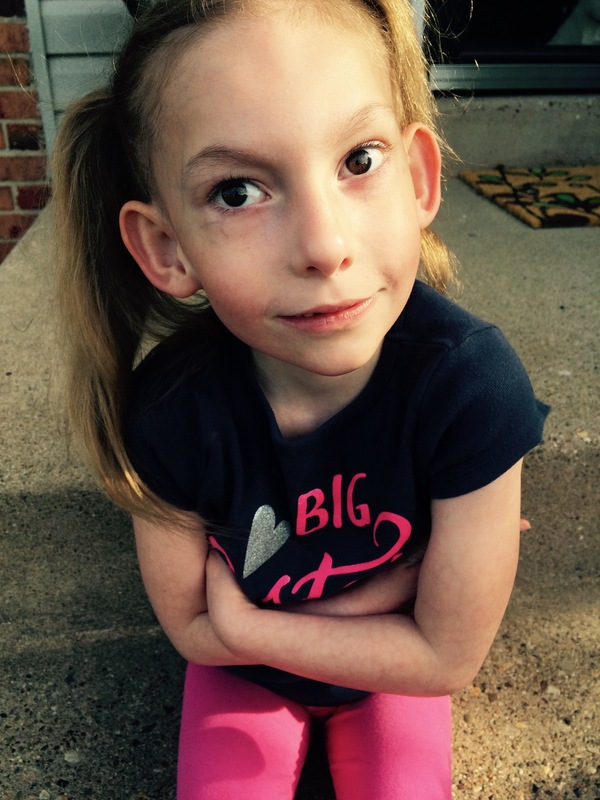 She was born with a serious congenital heart defect and struggled after birth. Five and a half years ago we were blessed with a little bundle of joy on the morning of Christmas Eve. Our daughter, Evalyn, came into the world as an early Christmas gift for us. She was born with a serious congenital heart defect and struggled after birth. Although we knew about her diagnosis during my pregnancy, we were still not prepared to watch her be whisked away to the NICU and transferred after only a few hours to a Cardiac Intensive Care Unit at a children's hospital over an hour away. The first weeks of Evalyn's life were spent in the hospital and filled with medical challenges and procedures. She had her first open heart surgery at only seven weeks old, and finally at nine weeks we were able to bring her home. Due to her rough start in life, it was evident from very early on that she was delayed in meeting her developmental milestones. She began working with early intervention at only five months old. This is what it means to be a special needs parent. The subsequent weeks, months and years have led to more diagnoses, more medical procedures, and hours of therapies. As time went on the degree of Evalyn's developmental delays became more clear. She did not crawl until 19 months and did not walk until 30 months. At two and a half years old she was only able to say a few single words. Over the past three years she has come so far. Although she continues to make great progress each day, she is still significantly delayed compared to her peers in all areas. Those weeks, months and years have also shown us the amazing little girl that we have. She is smart, funny and has an enthusiasm for life that is infectious. There are so many things that make her the person that she is - her kind heart, her quirky interests, her love of people, her smile. We have watched her grow from an adorable infant into an incredible little person, and we are so lucky to have her in our lives. She has taught us so much about strength and love, and has made our lives and our hearts fuller. We are now facing a new challenge as we prepare for the transition to Kindergarten in the fall. As Evalyn is getting older, we are finding what an emotional process it is to try to show the world all her strengths that we see everyday. I know what it's like to sit through seemingly endless meetings and feel the disappointment and heartbreak after hearing all the things your child can't do. I know the frustration of having told your story over and over, and still feeling like no one hears you. I know how it feels to be fueled with determination to do whatever it takes to get the best for your child. Evalyn, and every child with special needs, is so much more than what you see on paper. My daughter is not an IEP. She is not a diagnosis. She is not a percentile ranking. You have to look past all the evaluations and test scores and labels to truly know her. It is so difficult as a parent to see how so many people are unable or refuse to do this. As her mom, I will continue to do whatever I can to help the world view Evalyn as we do. No one knows her better. I will be her biggest cheerleader, her number one fan and her loudest advocate. I will not stop until everyone can truly see her. and follow her on Twitter, Facebook and Instagram.